Double Dutch International will introduce the Christmas underdog tale to buyers at AFM. 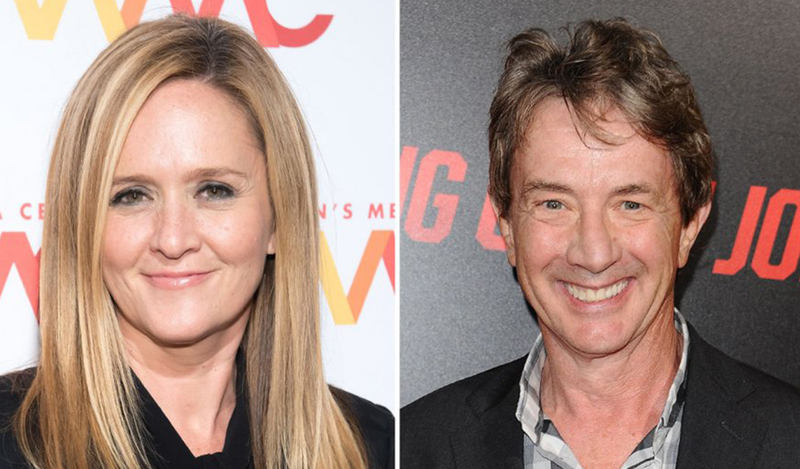 Full Frontal star Samantha Bee and Saturday Night Live alum Martin Short have joined the voice cast of Elliot: The Littlest Reindeer. Canadian production and sales group Double Dutch International is shopping the animated movie from Awesometown Entertainment at AFM. Elliot: The Littlest Reindeer finds Santa Claus reindeer Blitzen announcing his retirement on Dec. 21, giving Elliot, a miniature horse, just three days during North Pole tryouts to fulfill his lifelong dream to earn a spot on the legendary Christmas sleigh ride. The pic is the first from a deal between DDI And Awesometown to co-produce two to three animated features annually budgeted in the $10 million-$15 million range. Bee, a former correspondent on The Daily Show With Jon Stewart, hosts her own TBS show, Full Frontal With Samantha Bee, and is repped by UTA, AGI Entertainment Media & Management, Parent Management and Hansen, Jacobson, Teller, Hoberman, Newman, Warren, Richman, Rush & Kaller.Short has extensive comedy credits that include Curb Your Enthusiasm, How I Met Your Mother and Mulaney, as well an Emmy-nominated run on legal drama Damages. "We’ve added two extremely talented comedians, Samantha and Martin, who will surely bring some cheers to this fun-loving holiday movie," DDI president and CEO Jason Moring said Thursday in a statement. Elliot: The Littlest Reindeer is produced by Dan Krech and Lucas Lynette-Krech.